Seafood on the Georgia coast with good company gets me more excited than a child on Christmas morning. 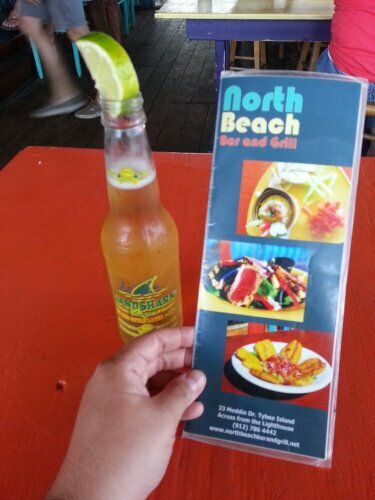 Moreover, restaurants that want to show off their menu offerings at affordable prices are that much more enticing. Tybee Island Restaurant Week begins this Friday, and I can’t imagine a better way to enjoy a little taste of Tybee, from beer battered oysters at North Beach Bar and Grill or Killer Key Lime Pie at Fannie’s on the Beach to homemade pizza at Huc-A-Poos Bites and Booze. Why not join in the fun at perhaps the most laid-back destination on the Southeastern seacoast? 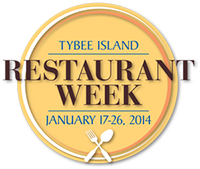 North Beach Bar and Grill is offering a free dessert course and coffee during Tybee Island Restaurant Week! From January 17 – 26, 2014, each participating restaurant will offer 3-course, prix fixe dinner menus for $25-$30 per person (not including tax and gratuity). “Prix fixe” simply means the chefs have predetermined a few of the most delicious selections to showcase in each category–appetizer, entrée and dessert. You choose whatever suits your palate, then sit back and enjoy the experience. It’s a fantastic time to explore a new restaurant and experience variety in a wallet-friendly way. On my list of places to stop? Tybee Island Social Club and Coco’s Sunset Grille. Bacon wrapped scallops or fried strawberries, anyone? Yes, please! 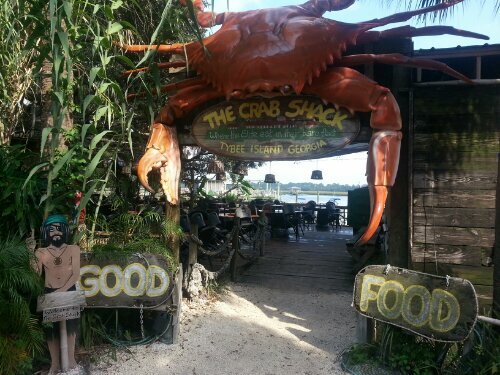 The Crab Shack is known for its famous Lowcountry Boil. 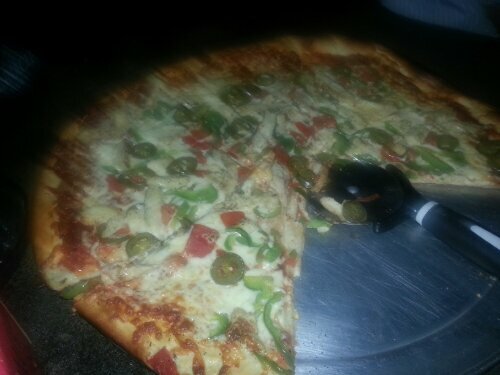 “The Federale” at Huc-A-Poos: Mexican pizza with grilled chicken, red onions, bell peppers, fresh tomatoes and jalapenos. 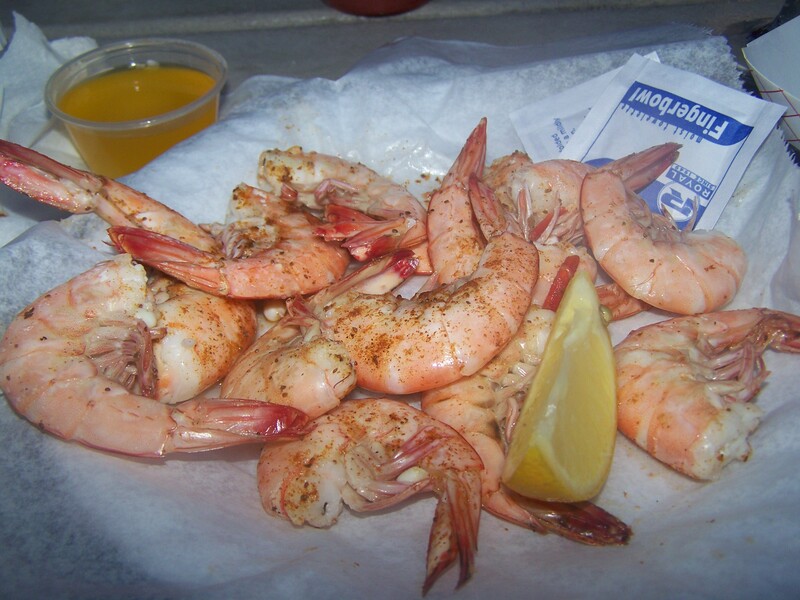 The Wild Georgia Shrimp at Sting Ray’s Seafood are caught and served fresh from the Atlantic. Get a complete list of participating restaurants, including the restaurant week menus by visiting this page on the Tybee Island Restaurant Week website. See you on the coast!